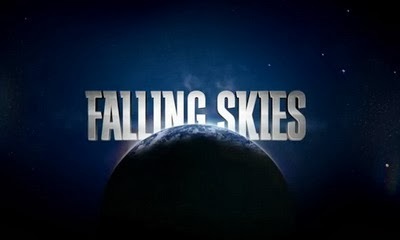 Earlier this year when reviewing Falling Skies I stated how much I was looking forward to the second season. It ended on a great cliffhanger, and the last few episodes really came into their own. Season 2 is another 10 episodes, but has it managed to stay on a high? Some season 1 spoilers here. Set three months after the end of Season 1 the 2nd Mass. are on the move, looking for others to join up with. Tom Mason abducted by aliens at the season finale has been released and makes his way back to the group but there he is met with mistrust especially by roguish Pope as it is not known what the aliens have done to him. Learning of a free town where large numbers of human survivors live the 2nd Mass. decide to head there, along the way learning of a Skitter rebellion against the 'fish head' overseers. I was quite disappointed with Season 2 truth be told. For the most part it is ok, watchable but it looses the momentum and excitement especially early on in the season. It feels like the plot writers didn't really know what to do with the whole alien abduction thing and almost wash their hands of it with it having little bearing on the overall plot. 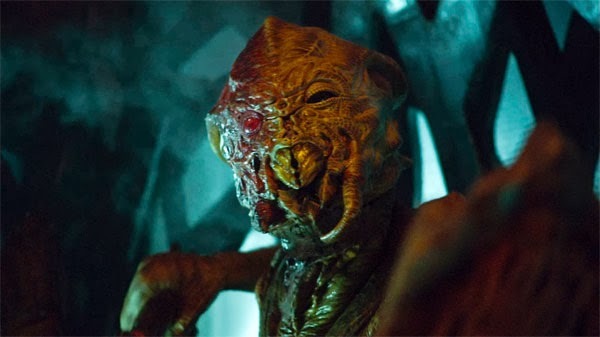 What they do for this season is give the alien threat a face with the Overseer; a fish head responsible for the alien military might in that part of the world. He is not quite a menacing creature but is more interesting than the default Skitter creatures and droid things and is able to give some exposition to the alien invaders intentions. Again budget constraints reduce the show into a parody of what it intends, seen no further than the wilted flower of a finale where an epic battle is let down by featuring about 10 different people on both sides combined, really affects the impact scenes can have when there is not too much going on. Having seen the first episode of Season 3 I can happily confirm there was more action, actors and set pieces than in the whole of Season 2 combined. 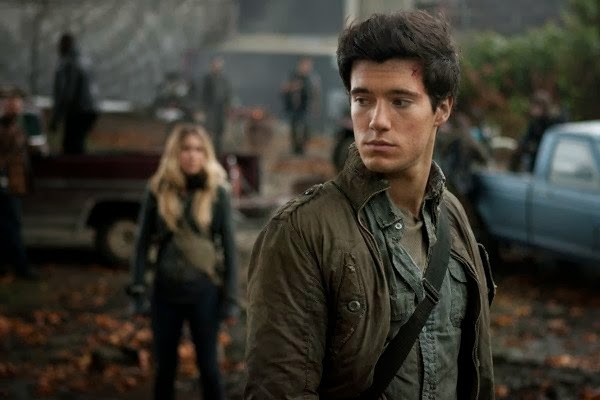 At its best Falling Skies is quite exciting (such as season highlight Molon Labe where a new alien threat is encountered) but far too often it is middling, sure it is interesting to watch but never becomes essential viewing, more something pleasant to observe. Again I find myself looking excitedly to the next season, I really hope that one manages to slot the show into a constant place rather than struggle to give the needed visuals for its epic story. Is it just me or do my scores suddenly look terrible? All washed out and faded, never noticed that before today, this is my first review on my newly repaired laptop.